Oil oil oil. Everywhere. 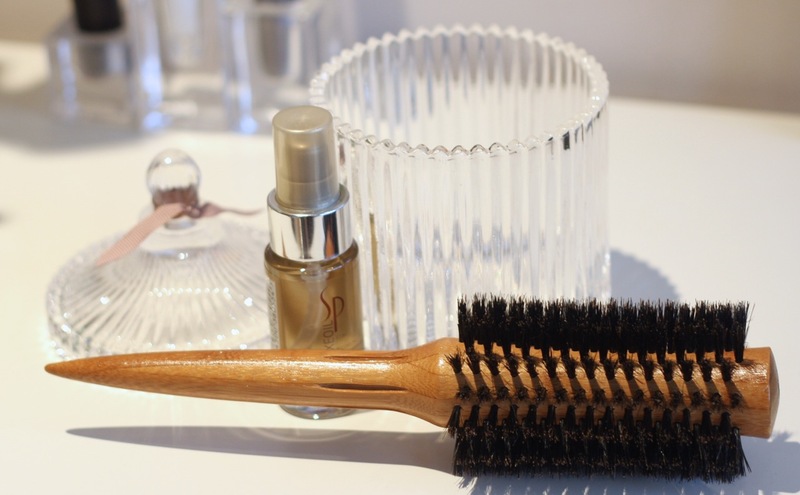 In the past year, I’ve been using oil everywhere in my beauty regime: face, body and hair. This Wella System Professional Luxe Oil Reconstructive Elixir falls into the AMAZING category. Starting with the smell – an extraordinary sweet concoction that is more like a perfume. It is a clear fluid oil that really tames hair, leaving it silky and smooth. It contains argan, jojoba and almond oils, which apart from the immediate effect, also help reconstruct damaged hair. I use this in a couple of ways; I apply to damp hair, before drying and to dry hair, to finish. With this lovely oil, I received a fabulous bamboo handle brush. This round barrel brush is incredibly soft – it doesn’t grab hair, so pulling and tugging is virtually nonexistent. 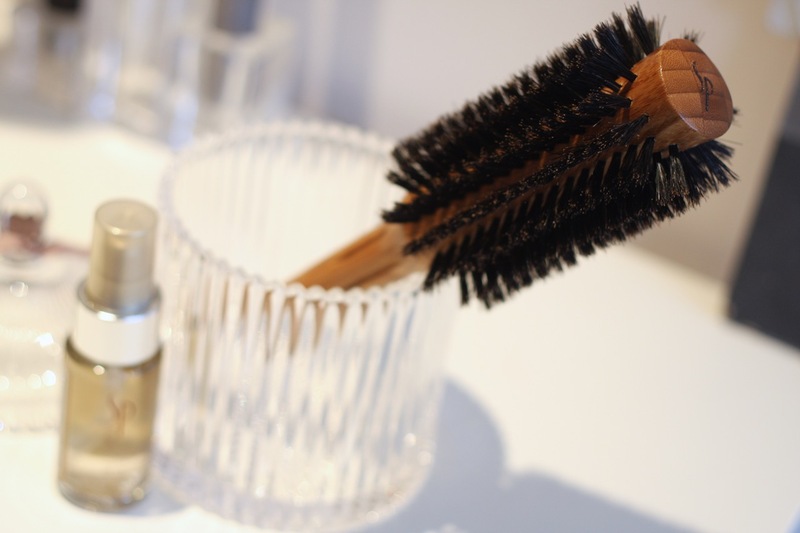 Its natural bristles are very welcome especially on fragile, thinning hair or extensions. The thin end of handle is great for parting and it does style well, being perfect to create volume. Used with the Luxe Oil, it makes for a fabulously smooth blow dry. 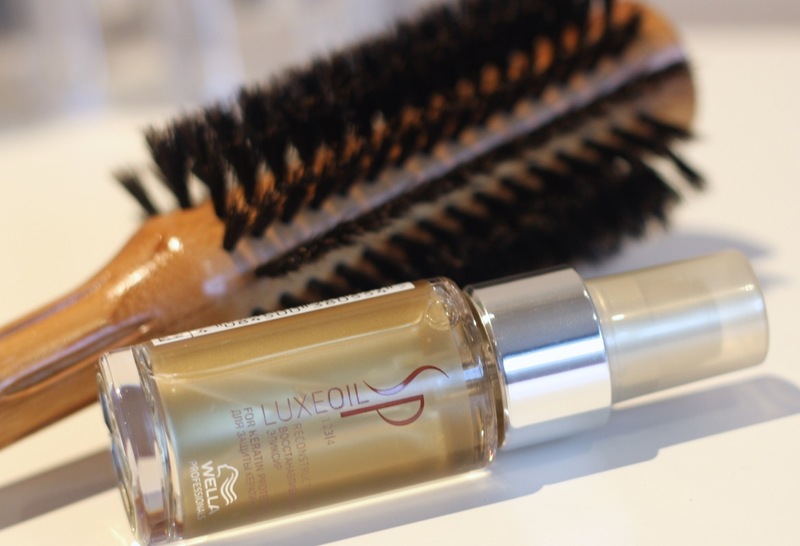 You can buy the Wella Luxe Oil from online retailers like Look Fantastic and it costs around £26 for 100ml. I want a brush like that, it’s been a long time since I’ve had a wooden brush. Mine round brushes are all ceramic now. Do you prefer it to other round brushes? I do indeed. The main thing on this brush, for me is how soft and non-aggressive the bristles are. They are very gentle on my hair and scalp. I use this one to style, and the Wet Brush for general brushing!